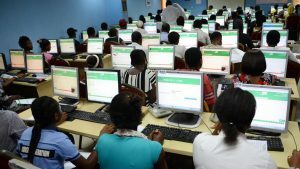 JAMB Mock Examination Result 2019: All the candidates that participated in the Joint Admission and Matriculation Board (JAMB) 2019 mock examination is hereby informed that the board have released their results. For all that participated you can use this guide below to know how to check JAMB mock result 2019. • Use this link: http://www.jamb.org.ng/ExamSlipPrinting/_CheckUTMEMockResults. • Supply your Email address/JAMB Registration number in the required column. • Finally, click on ‘Check Mock Results’ to access your JAMB Mock Exam Score. The results is not out yet, still undergoing screening. we are here to notify you once it is released. Stay Tune! Results is still undergoing screening by JAMB, we will update you once it is released. The Results is not out yet. Once JAMB release the results we will notify you.